take a different turn as events change the course of his life. place where we feel comfortable. The book “Put Sey”, by Victor Charlo takes the reader on a trip around the reservation to meet people and enjoy experiences through his poetry. The book is a collection of work revolving around Dixon and the Flathead reservation. 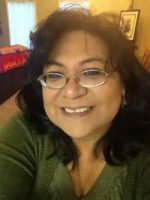 The poetry is reflective of Native American views of everyday events and is mixed with Salish language. The poem “Smoke” is reminiscent of watching the smoke gather and flow in the sunlight, constantly moving and mesmerizing. The poem reminds me of my Grandmother and her smoke, drinking tea and talking and laughing. D’Arcy McNickle was a big deal– and we’re not just talking on the Flathead Reservation. He was a key figure in national tribal movements from the 1930s to the 1970s, and worked both physically and intellectually on behalf of Native interests. He is well known for his novels The Surrounded and Wind from an Enemy Sky, and published several nonfiction works on white/tribal relations. He played a huge role in the formation of the National Congress of American Indians to unite Native peoples politically. He worked to inspire young people and his efforts became the National Indian Youth Council. He saw the preservation of cultural values as vitally important and was the founding director for the Center for the History of the American Indian at the Newberry Library in Chicago. In short, D’Arcy McNickle was an inspirational man with incredible energy! The Hawk is Hungry and Other Stories is a collection of McNickle’s short fiction. Only six of the sixteen stories were published during McNickle’s lifetime. The rest of the stories were found in his private papers that he willed the Newberry Library after his death. The collection of stories is split into three distinct parts: Reservation stories, Montana stories, and City stories. Each has its own characters and conflict, but draw from McNickle’s own experiences living in these settings. For people who have never read McNickle, the collection is a convenient gateway to his work! An entire novel can be intimidating, but most of us can find time to read a short story! For people who have read his other works, these stories extend the themes of identity, change, and struggle that weave through his novels and make his work so relatable. It was difficult for me to pick my ‘favorite’ story in the collection. Each touches a unique aspect of the human experience and can’t be compared to another. McNickle doesn’t write what I would consider ‘happy’ stories, but instead records the raw and messy side of emotional existence. The two stories I found most moving (at this time in my life) were “Train Time” and “The Wedding Night” for the questions they posed about duty, purpose, and belonging. What are your thoughts? If you read the stories, I hope you find time to visit the Library and chat with me about them! Peter Ronan compiled this short collection in 1890, during his time as the Flathead Reservation government agent. “History” is a somewhat deceptive term, as most of the information is gained from the opinions or stories of early white visitors to Flathead territory and the earliest details only go back to 1811. 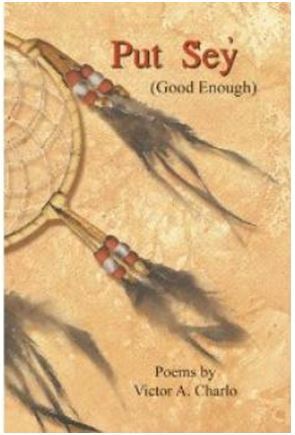 Ronan addresses historical conflicts between the Flathead and the Blackfeet, the general character of the Flathead Indians, and the coming of the Jesuit fathers to the Bitterroot Valley. Ronan’s discussion of Father Ravalli’s departure from the Bitterroot Valley is downplayed and conflicts between the priests and the Indians are not detailed. Ronan does describe the traditional Flathead way of hunting buffalo, which I found very interesting! I am awed by the strength and skill that was used to capture such powerful animals! 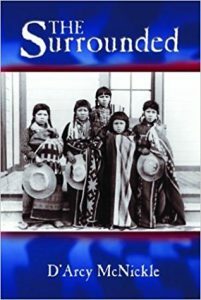 The most thorough information in this short book centers around Chief Charlot of the Bitterroot Salish. I felt that Ronan’s discussion of Charlot showed the great amount of respect and sympathy he felt for this brave and independent leader. Ronan does not hesitate to admit that the federal government acted dishonorably and deserved the mistrust of this man. Ronan’s picture of Charlot is as a honest, dignified man fighting for the promises made to him. At the time of this collection, Charlot still remained in the Bitterroot Valley, and Ronan’s descriptions of a federal trip to Washington D.C. with Charlot to discuss treaties with the President were fresh in his mind. If you are looking for a short, basic introductory to Flathead history in the 1800’s, this book is an option! For a short book (208 pages), The Undying West carried two very distinct personalities. On the one hand, it was an incredibly readable, brief history of the Flathead Reservation from earliest history to today. On the other hand, it was a personal memoir with an unashamed philosophy of the union of human and the environment. Cross summarizes geologic, animal, and human history and weaves her own story as a descendant of early homesteaders into the story of the region. Major sections of the book address Salish and Kootenai customs, as well as the role native tribes played in sustaining the fragile local ecosystems for thousands of years. She conducted interviews with CSKT members, such as Tony Incashola, Johnny Arlee, Frances Vanderburg, Micky Pablo, Marsha Cross, Bill Swaney and Alec Quequesah. Cross does not present a sterilized version of history, but confronts wrongs inflicted on the tribes in the area head on. She asserts that the future of the region depends on an understanding between cultures and cooperation to protect an area that people from vast backgrounds call home. I thoroughly enjoyed the historical and personal memoir sections of this book, but was not as taken with some of The Undying West’s more philosophical sections. To put it bluntly, I felt Cross’ writing could come across as “preachy.” These sections were hard to read for more than a few paragraphs without losing interest and wishing she could get back to the main narrative. Overall, the book seems to be a good choice for readers looking for a brief history of the Camas Prairie region of the Flathead Reservation. In many ways, modernity has allowed us to live outside the seasons. If we’re hot in the summer, we turn on the air conditioning. If we’re cold in the winter, we readjust our thermostat. Grocery stores are open to purchase ready-to-eat food all year round. Do we need a new pair of shoes or coat? Wal-mart has us covered. Time is reduced to numbers on a calendar and each season seems little different than the next. Life before these conveniences was much different. Time was measured by nature and weather. Huckleberries, Buttercups, and Celebrations explains the traditional Salish times of the year through poems. Written for a young audience (but equally enjoyable for adults!) this book shares the seasonal activities that mark time and life in Salish culture. There are times for plants and times for animals. Times for people and times for activities that ensure survival in the area that is now Western Montana. Paired with the text are pictures to show the progression of time through a year. Each page shares the words for months in English and then the accompanying translation to Salish. The book is written and illustrated by Jennifer Greene and Antoine Sandoval, who were both raised on the Flathead Reservation. Good Medicine in Glacier National Park is a collection of inspirational photos and stories from the days of the Blackfoot People. This book is part of a 4 part series created by Adolph Hungry Wolf. I have always been intrigued by Glacier National Park and how it came to be and how the different areas have gotten their names and the origin stories behind those names. This 32 page book goes over some of the different areas in Glacier National Park such as Two Medicine, Cut Bank, St Mary’s Lake, Going to the Sun, and several mountain peaks throughout Glacier National Park. The stories in this book give a history that most people don’t know on why the areas are named what they are named. The author brings you into the stories so you can actually envision being there. Being on the edge of the lake banks, the smell of mountain pine, the cool mountain breeze on your face, the feeling of calm and the spiritual value of these valleys. You can get a sense of what our ancestors experienced so many generations ago when the wildlife was abundant and they used the mountaintops for fasts, spiritual cleansing and camps. Reading through this book makes me think of all of the people who have gone through the park and have not truly looked at Glacier’s true beauty. After reading this book I will go back to Glacier with a new sense of my surroundings. I hope that you get a chance to read this book and you are able to imagine or put yourself in these stories and watch them unfold. This 45-page study seeks to provide a cultural and historical survey of the area that is now the National Bison Range on the Flathead Indian Reservation. The fieldwork for the survey was done in the summer of 1969－ almost sixty years after the refuge was established in 1910! For this reason, I found the article somewhat troubling. While I congratulate Barnier’s work, cultural study of the area seemed to come as an afterthought to a much larger project. By the time he began his study, Barnier was left with very few recoverable artifacts in situ. 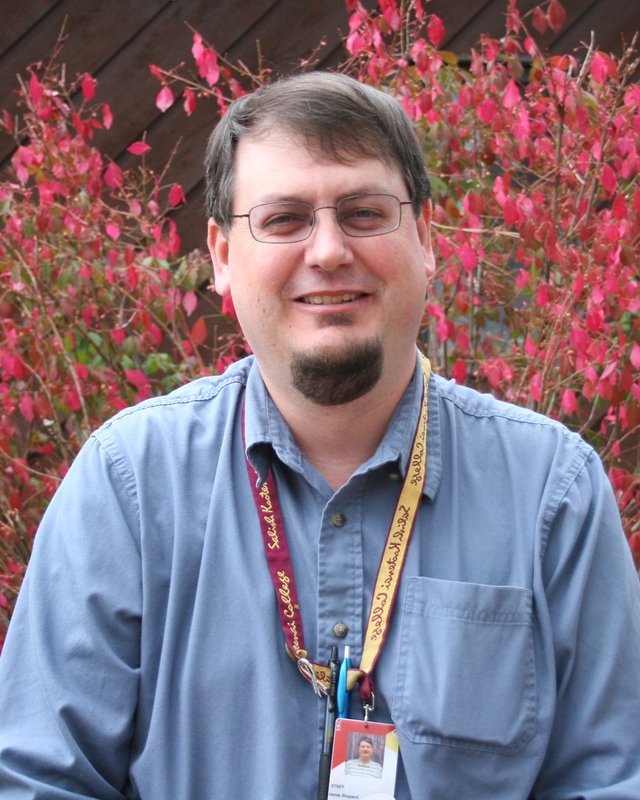 He was forced to draw conclusions of the area from other sites in Mission Valley (such as McDonald Lake). Even many of these sites had already been destroyed by human activity or well-meaning but untrained amateurs. Barnier relied heavily on a personal collection of artifacts belonging to an employee of the Bison Range, Robert McVey. Barnier used McVey’s collection of artifacts in his analysis of the sites and admitted that his private collection “represents all that remains of the site” at McDonald Lake (p. 19). While Barnier’s archaeological analysis and photos of projectile points were compiled from what he had available, they left me disappointed. Since Barnier did not have access to uncompromised sites, he had to assume much. In his analysis of a site he termed “The Fire Tree,” Barnier wrote that he thought the site may have had “possible supernatural significance,” but that it had been destroyed by logging operations and then cleaned out by McVey. When so much of archaeological conclusion depends on finding artifacts in their original position, the Barnier’s work seems almost unreliable as a result. These two books provide an excellent overview of Gustav Sohon and his drawings of Native leaders in the middle of the nineteenth century. Sohon himself is an interesting character of history. He was a German immigrant, fluent in numerous languages, a talented artist and hearty wilderness man. It was during his time at Fort Owen in the Bitterroot Mountains as a surveyor for the military (1853-1854), where he first sketched several of the leaders of the Flathead and Pend d’Oreille. These drawings caught the attention of Governor Issac Stevens, who transferred Sohon to his command and tasked him with drawing important figures and landscapes of his treaty councils. Gustav Sohon’s pictures succeed where words fall short. Written accounts can only go so far in accurately describing people or events. Images make them real. They bring truth and clarity to the foggy interpretations in our minds. They show us personalities and cultures that would otherwise be lost. Sohon paid close attention to details, providing Indian names, the translations, and written notes about the men he drew. Why do I include both of these books? I think the two complement each other well. Nicandri’s collection (1986) does not include sketches of the Flathead leaders, since Sohon did not redraw the Flathead and Pend d’Oreille leaders during the Hellgate Council. The book does, however, provide a thoughtful overview to the complications, shortcomings, and misunderstandings in all of Stevens’ treaties (including the Flathead Council). This analysis is largely absent in Ewer’s book (published for the Smithsonian in 1948). Reading the two together provides a complete narrative accompaniment to Sohon’s historical images. This article argues that early Jesuit missionaries to the Western Montana area adopted the same model for mission communities that Spanish priests developed in South America throughout the 1600’s. Reductions were originally independent, isolated settlements organized by Catholic priests to convert South American natives to Christianity and Western culture. It was the hope that in relocating natives to these communities, they would avoid the influences of their old ways of life. The North American reductions served much the same purpose. Besides teaching Christianity, reductions hoped to convert nomadic populations of North America to a stationary, agricultural lifestyle. Locations for the settlements were often far from other white settlements, as it was felt that the loose morals of traders and settlers would undermine the priests’ work. Another reason for isolation was that the Jesuits feared the influence of Protestant missionaries that could contradict their teachings. Surprisingly, the early writings on this community concept encouraged priests to live and work in the original language of the people, which is quite different from the language-purge that occurred in the following decades in many mission boarding schools. The original foundation of St. Mary’s and St. Ignatius in the early 1840’s are used as examples of these types of agri-utopian communities. The author defends his points by quoting large pieces of written correspondence, diary entries, and newspaper articles from the 1800’s. These primary sources were the best part of the article, as they offered a firsthand look at the motivations and goals of the first Catholic missionaries to this area. While history shows us that the original visions for these communities evolved into something much less innocent, the article educated me on the Jesuits’ intentions and ideology.